Gorgeous! One of the best cake that you can buy for your wedding anniversary celebration. Celebrate this special day with your life partner and strengthen your relationship. 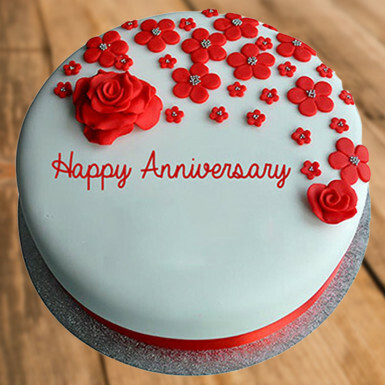 Cherish the love bond you shared with your life partner by ordering this awesome looking anniversary fondant cake online from Winni.